A retired police inspector who suffered from bouts of anxiety jumped to his death from a motorway bridge the morning after he watched his daughter get married. Grant Ardern, 60, a father-of-three, is feared to have secretly planned his own death for several weeks, but had decided to wait until he saw his daughter India tie the knot, an inquest heard. Hours after telling his wife how much he enjoyed the wedding day Mr Ardern slipped away from the family home at 6am, dressed in his pyjamas, and drove to a motorway bridge near his home in Warrington. 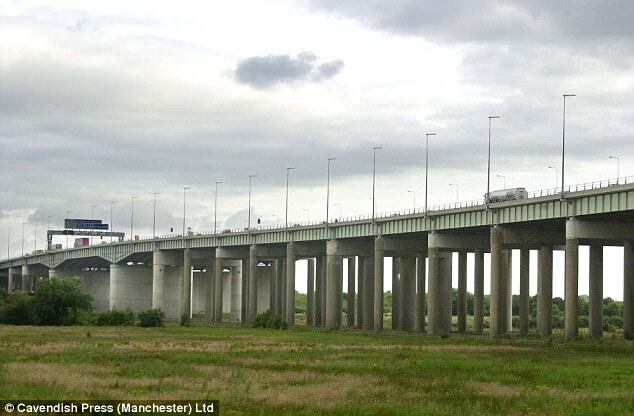 His body was later found at the foot of the Thelwall Viaduct after a passing motorist saw him jumping off it. The inquest heard how Mr Ardern, who worked as a community safety manager, had been suffering from work-related anxiety which had worsened due to him having to speak at a public event. He had been in policing for 30 years and previously worked for the Cheshire constabulary where he had spearheaded campaigns against domestic violence. In recent years he had been working with organisations across the world and advising them on crime fighting schemes. His wife Deborah, 56, a civilian coordinator for Cheshire Police, said: ‘He was so anxious because he wanted to do it but didn’t want to upset us before the wedding. That’s why I think that he was so anxious and catatonic and mood shifting towards the end. ‘The night we had come home from the wedding he was so calm and thinking back, I believe he thought he was ready to go. She added: ‘He decided to go back to the doctor quite a few times in the last six months over small matters that were brought on by the anxiety. He decided that he needed to be on medication again – but medication just made him worse this time. Originally he told me he felt suicidal on the 8th or 9th of April and he said he thought it would be better if he was dead already. ‘I can only speculate now but I think he was absolutely determined to do what he did, but he was desperate for no one to know about it. ‘I was very shocked and upset when he said it to me the first time. We had been together for 30 years and it was shocking the first time he said it to me. I challenged him about it, and after a long chat he said that he would never do anything to upset me or upset the children by doing that sort of thing. ‘When he said it to me and our son Henry, that was when we were trying to get medical professional help and we were hugely concerned. ‘At times he could be completely catatonic but then he would snap out of it. We were surprised and shocked at the time, your not really expecting or prepared for suicide. 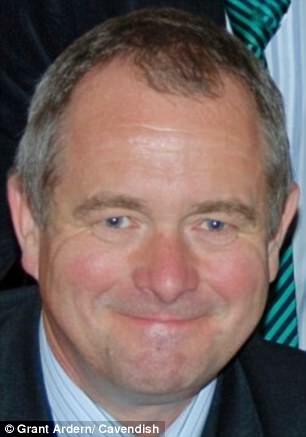 The hearing was told Mr Ardern had attended Warrington Hospital with his son on April 27 complaining of anxiety. Dr Gordon Mills, Mr Ardern’s GP at Lakeside Surgery in Lymm said: ‘I saw him on the 12 April 2017 when he complained of feeling anxious and finding work stressful but didn’t specify on his concerns. He requested fluoxetine as he had previously found it helpful but on April 20 he came back again and saw one of my colleagues still complaining of anxiety. Mental health worker Daniel Carter who saw Mr Ardern at his home on April 28 said: ‘I spoke to him and he seemed stressed and anxious. He was depressed in mood and is was clear he was very worried as well. Det Sgt Henderson Pierre, of Cheshire Police, said officers attended after getting calls from the passing motorist as well as Mr Ardern’s son who reported his father missing. They found his Ford car parked by the motorway bridge. No suicide note was found. 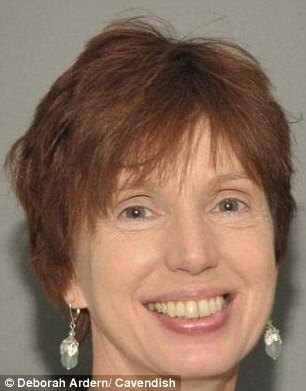 Recording a conclusion of suicide, Coroner Claire Walsh said: ‘He made suggestions to his wife and son that he was suicidal but told health professionals that he didn’t have any suicidal or self harm intentions.